Prepare a list of questions to ask each venue you visit. It is definitely worth being as informed as possible when making the decision to book a particular venue. You want to be sure the one you choose is the right one for you. Couples should never presume that things are presented, included, served or done a certain way - it is often different with every venue. If you require a specific table set up, bar or food service/presentation, equipment, staffing, or special ceremony requirements, find out if the venue you are looking into is able to accommodate your requests before securing the venue with a contract and deposit. Enjoy the planning process and try not to get lost in all the details. So often couples lose sight of the original reason for all this, which is that you have found the person you want to spend the rest of your life with! It's wonderful! In the end, be rest assured, the wedding will happen (rain or shine), the flowers will be beautiful, guests will eat, people will dance, and you want to be able to say you were present through it all and remember it without having to rely on the wedding video for proof! Another important piece of advice would be to expect setbacks, roll with the punches, and don't sweat the small stuff. It will make for a far greater wedding experience. Lastly, if you can afford it, hire a wedding planner as there's no better investment! 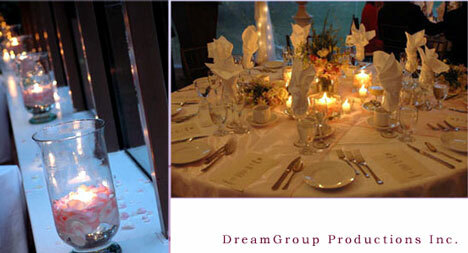 If you are on a budget, consider lowering the guest count instead of the quality of the event. Why have 70 guests who have to pay for their own drinks when you can have 30 guests and host them properly for the same price? Another way to curb costs is to keep the décor simple. Chair covers, towering arrangements, and garish colored swaths of fabric aren't necessary these days. It's all about elegant, understated centerpieces, neutral colors, and letting the bride shine. It's not about the glitter encrusted candles. Lastly, listen to the experts, they know best, even though you may think you know better!